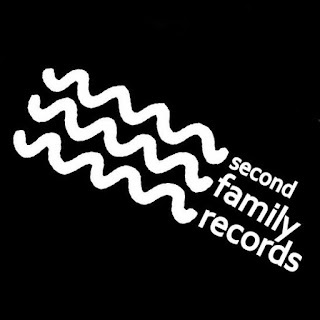 Second Family Records is a free music netlabel based in Parma, Italy. It was born in 2008 with the aim of recollecting dirty and dangerous musical slag: a mixture of kraut, industrial, minimal, noise, electrowave or whatever musical genres might be. The idea of a netlabel developed from the need of a DIY process in managing our own music from the beginning to the end with all the pros and cons connected to that. They feel like those first post punk indie record labels that in the late ’70 used to publish their low budget releases with no distribution and a “non-profit” philosophy at the base. The difference nowadays is that you don’t even need to print your records anymore and you can use the most powerful music distribution network ever: internet. Low budget (or no budget), non-profit philosophy and probably enthusiasm and passion are exactly the same. Their music is their artists’ music and it’s everybody’s music, Second Family Records Netlabel is just the way they’ve chosen to get to people and that hopefully will be chosen by people to get to them. All music released under the Creative Commons Music Sharing License 3.0.